Has love turned to hate for Blake Shelton and his ex? In the early days of their divorce, Blake Shelton and Miranda Lambert seemed like they could keep their friendship going. But during the recent 2016 CMA Awards, this looked less likely. The two appeared to go out of their way to avoid each other. Leaving people to speculate that all was not well between the two former flames. It can’t be easy having your ex at a high profile get together. Especially when there are many eyes looking to see your reaction. It was remarked that they even took turns in disappearing backstage. Each while the other was on the stage doing their stuff. The seating arrangements in the Ryman Auditorium in Nashville, are set up in a close fashion so that you have to stand to let one-person pass. But although the couple didn’t request separate seating it would appear they were deliberately avoiding each other while trying not to be obvious. Trying not to be obvious when everyone in the room is waiting to see what happens especially when you come together, can’t be easy. When you look at it from another angle if they had shown the slightest bit of interest in each other, the reports would have read totally different. It would have said: “Miranda still carries a torch” Or “Blake just can’t fake it” either way it can’t have been easy for them. They can’t do right for doing wrong. 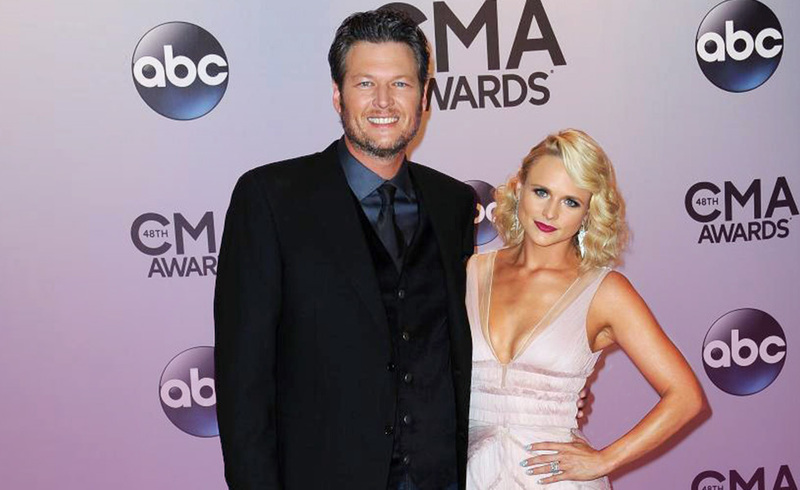 What do the cards say about Blake Sheldon and Miranda Lambert? They drew The Queen of Swords. This shows the difficulty that divorce brings even for two people who can agree to disagree. It leaves disappointment and of course stress. It is a credit to these two that they chose to set an example on how it should be done. And I feel they were being judged wrong by those watching. Perhaps the audience were disappointed they didn’t get a cat fight? Well, I don’t feel that energy through these two people. The Fool card is the stepping out into the unknown which is what both had to do post-divorce. It doesn’t matter how amicable it was, it has to hurt someone. The Sun Card shows a new day dawning, a new beginning and it’s a fresh start for both. My psychic senses are saying they do have the makings of good friends but first they need to find the person they were before the marriage. Avoiding each other was a good idea, as every move would have been awkward and judged. It’s better to conduct private business in private and I feel that’s what these two have done. For the time being the overwhelming energy I feel from them is one of repair. So time will heal all. Perhaps in a few months, the hearts will be ready to venture into to the realm of love again separately. But not for now. Previous ArticleWith ‘Bridget Jones Baby’ hitting screens soon, does Renee want a baby herself?Next ArticleAriana Grande and Mac Miller. Will they take it to the next level ?